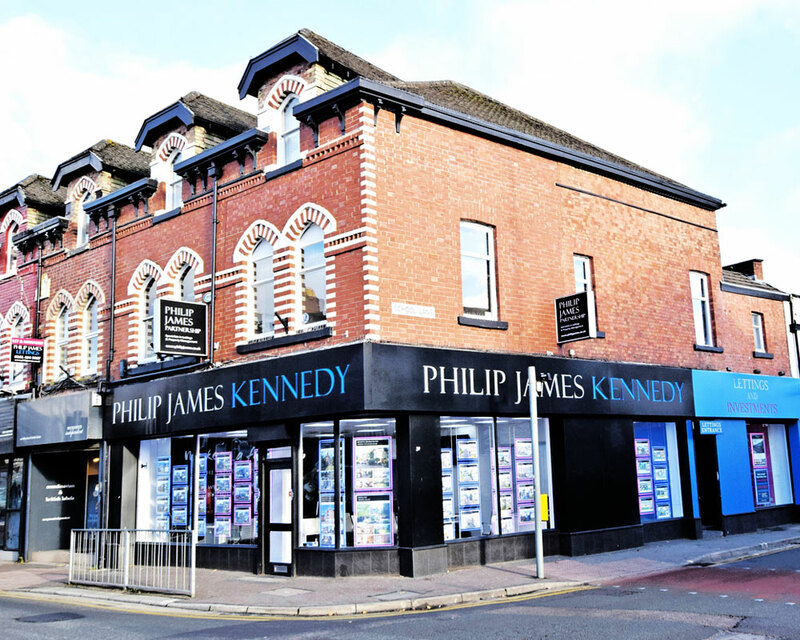 Philip James Kennedy is the area’s leading independent estate agent specialising in Didsbury and West Didsbury villages. We have a proven track record of achieving the highest prices within the shortest times, so you’ll find more people instructing us to sell their Didsbury homes than any of our competitors. As a Didsbury resident with a young family attending local schools and with 15 years experience learning about what makes the Didsbury property market tick, Rob Kennedy offers the most comprehensive, creative and well – informed estate agency package in the village, designed to maximise the price you can achieve and offering impeccable service. Moving within Didsbury and West Didsbury has become increasingly sophisticated with many clients knowing that they can sell relatively quickly so only going to market when they see a property they want to move to. As a local estate agent we build many Didsbury and West Didsbury resident chains for clients wanting to move locally. As the leading agent for more prestigious homes, this generates many highly sought after properties in the mid and lower price brackets. The level of estate agency in the village is high but the team at Didsbury is what gives Philip James Kennedy the edge over other agents. We only consider recruiting the best candidates with Managing Director, Rob Kennedy and CEO Philip Nolan personally overseeing all appointments. The Didsbury team know in detail all the properties they are selling including their best selling features and have an excellent knowledge of the property styles, schools and amenities within the Didsbury and West Didsbury areas. When advising on price we have a unique insight due to the high volume of properties we sell. We have an intimate knowledge of property prices in your immediate area and consider local features, village access, restaurants, parks and schools. Many of the comparison properties that other agents use in order to arrive on price, we have sold ourselves, allowing our staff to negotiate with far more authority and more effectively than other local agents. Have you just finished a fabulous renovation? Or are you about to embark on one? Brand new properties are highly sought after, so we have developed a marketing strategy to ensure our properties receive maximum exposure the day it goes on the market. Open House provides exclusive previews designed to create as much excitement in the market and can generate multiple offers, whilst all buyers are given a private tour of the house so they don’t miss out. Centrally located in a prestigious corner position, the state of the art office boasts six picture windows showcasing our fine portfolio of properties for sale with halo backlighting to maximise the impact. The office has been recently enlarged and totally refurbished to create a state of the art marketplace to sell and buy from our large portfolio of residential property. PJK like to support local schools & charities whenever we can. We regularly display children’s artwork in our windows as part of our dream home campaign #dreamhome. We were delighted to sponsor the Didsbury family fun day – a wonderful event which really brings our thriving community together. Located in the heart of Didsbury Village, Philip James Kennedy is well established and the No. 1 estate agent in the area. We’re very active locally, sponsoring and supporting local events, businesses and schools. We love everything about Didsbury and the Didsbury way of life, it’s the perfect place for any young family. With the fantastic local schools, numerous parks and green spaces including Fletcher Moss Park and The Parsonage Gardens plus many local sporting clubs, living in Didsbury with a young family can be a joy. But it’s not only the children that will love Didsbury, with an abundance of independent and high quality restaurants and bars, parents will love it too. Upon instruction our specialist copywriters create a well written glossy brochure with scaled and measured floor plans; location and land registry maps all set within a contemporary brochure template. We take professional architectural photographs of your property using advanced photo software with wide angled lenses; optimum lighting and creative framing to maximise the impact. All of this first class presentation also appears here on our website along with the Rightmove, Zoopla and Primelocation property portals maximising the exposure the property receives nationally and beyond. "Had great service from Philip James Kennedy. Dealt with Adam who was flexible, professional and knew the market inside out. Would be happy to recommend." "Deborah at PJK was extremely helpful and clear throughout my sale. It's really valuable to have a named contact managing the contract process, plus the agency's sale fees are very competitive."